NANS Demands Arrest of Killer Policeman, Sack of Commissioner, DPO In Katsina. The Senate of the National Association of Nigerian Students (NANS) has demanded the immediate arrest and prosecution of the policeman who yesterday in Katsina shot and killed Umar Aliyu of the Hassan Usman Polytechnic. In a statement signed by spokesman Okoye Robinson Chibuzo, NANS condemned the act in strong terms and called on the National Human Rights Commission to investigate the incident and the killings of other students which now number 30, as a matter of urgency. “We can’t understand what led to the killing of a harmless student by the same persons whose responsibility is to secure his life and property,” the statement said. The students also called on the Inspector General of police to sack the Commissioner of the Katsina State Police Command and the DPO in charge [of the unit], or face “total war” which will be declared against the police for the brutal killing of Nigerian students. NANS commiserated with the family of Umar Aliyu and the entire students of Kastina for the great loss of one of their future leaders whose life was shortened by a “blood sucking” policeman. NANS Demands Arrest Of Killer Policeman, Sack Of Commissioner, DPO. “We can’t understand what led to the killing of a harmless student by the same persons whose responsibility is to secure his life and property,” the statement said. “This act of barbarism is a total breach of the fundamental right to life of Umar Aliyu as enshrined in the constitution of the Federal Republic of Nigeria and can’t be taken as this is a threat to the lives and security of the Nigerian students.” The students also called on the Inspector General of police to sack the Commissioner of the Katsina State Police Command and the DPO in charge [of the unit], or face “total war” which will be declared against the police for the brutal killing of Nigerian students. Abuja: Two More Squatters Die from Gun Injuries. Two more squatters shot at the uncompleted home of a yet-to-be named army general died overnight of injuries. The two victims died at the Aso General hospital, Abuja, bringing the death toll from the gruesome armed attack of the squatters to nine. News of the deaths of two additional squatters was revealed to a delegation of civil rights activists who had gone to assist with the burial of two of the victims who members of the tricycle transport union popularly known as Keke-NAPEP. The activists were led by Shehu Sanni. SaharaReporters learnt that the hospital had no ambulance available to convey the dead to the cemetery, forcing the activists to pay N15, 000 to hire an ambulance from a company. Our correspondent reported that two lawmakers, Aminu Idris Nadabo from Kaduna State and Aminu Idris Nadabo from Katsina, were sighted at the hospital. It was unclear whether they had come to help with the burial of the victims of the shooting or offer help to those who were injured. A source in Abuja told SaharaReporters that the sprawling uncompleted building where soldiers slaughtered innocent squatters was linked to the Chief of Army Staff, Major General Ihejirika. SaharaReporters was however unable to confirm the information independently. The president of the Nigeria Youth Assembly, Comrade Mustapha, told SaharaReporters that about 200 squatters lived in the building. He added that many of them were still unaccounted for after the deadly raid. SaharaReporters was first to reveal that soldiers carried out the raid that killed seven squatters and injured 17. A security source in Abuja disclosed that the later involvement of the State Security Service (SSS) was aimed at diverting attention from the atrocity of the soldiers who were reportedly acting on the orders of the office of the army chief. The SSS had stated that the agency received intelligence that the squatters were part of a violent Islamist group. Fear grips Imo residents as kidnappers and secret cult members relocate to villages. Suspected kidnappers and secret cult members have relocated to villages in Imo State. The criminals relocated to the villages following their dislodgement by the police in Owerri, the state capital. Residents are now living in fear over the development. Sources said the criminals had begun unleashing terror on the villages. The sources added that the criminals had raped, robbed and kidnapped their victims in villages. Investigation by National Mirror revealed that no fewer than five people, including students had been kidnapped, robbed and raped by the criminals. This is even as the police have intensified efforts to curb violent crimes across the state. At Otulu community in Oru West Local Government Area of the state, residents have been living in fear of the rampaging criminals. A middle-aged man, who identified himself as Ikechukwu, said that living in the community had become hellish, saying: “There is no day you don’t hear of robbery in the area. Also in Ngor-Okpala Local Government Area, the crime wave is on the rise. Elelem, Amala and Umuekunne villages – all in the local government area – have become den of kidnappers, armed robbers and rapists. Some of the robbery incidents along the Aba/Owerri Road were said to have been carried out by the criminals living in these communities. It was learnt that most traditional rulers and senior government officials were not helping matters as pleas by the state Commissioner of Police, Muhammad Musa Katsina, to expose criminal elements in their domains had fallen on deaf ears. Ohaji Egbema Local Government Area is also identified as the den of notorious armed robbers and kidnappers. Another security challenge confronting the communities is the growing number of cult groups. The cult groups were said have been initiating minors to perpetrate violent crimes. In the last two months, over 20 under aged cult group members were arrested at various points of initiation. A police source, who did not want his name mentioned, said that community leaders refused to cooperate with security agencies in order to tackle the criminal activities. The source expressed worry over the increasing criminal activities in the hinterlands, blaming the development on the community leaders’ lack of cooperation. He said: “It is worrisome that some leaders are not cooperating with security agencies to stamp out criminal activities in Imo communities. Local government sole administrators, traditional rulers and religious leaders have failed to report criminal activities in their neighbourhood to the police. 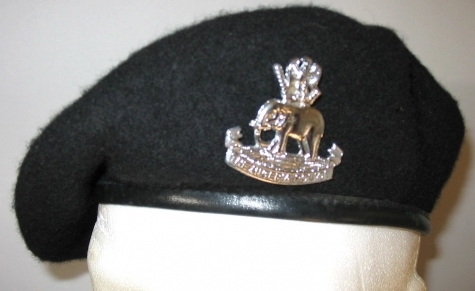 PRESS RELEASE: Nigeria Police Force Redeploys Eleven (11) Commissioners Of Police. The Inspector-General of Police, IGP MD Abubakar, CFR, NPM, mni, has ordered the redeployment of eleven (11) Commissioners of Police (CPs) to Commands and Formations. The IGP’s order followed the recent elevation of some senior officers to the rank of Commissioners of Police and the retirement of some Commissioners of Police in State Commands and Police Formations. The newly redeployed CPs have been charged to show commitment in the fight against crime and criminality in the respective new beats. They are to ensure that they work cordially with the public and to serve as motivation to their subordinate officers in the discharge of their onerous responsibilities. The IGP has also directed the CPs to be mindful of the fundamental rights of the citizenry and ensure that complaints are promptly attended to avoid the miscarriage of justice. He further directed all effected officers to ensure that handing and taking – over exercises are completed as when due. CP EOD ‘B’ DEPT, FHQ. Officers postings take immediate effect. Re-Katsina’s Rampaging First Lady By Ahmad Abdullahi. The writer which I am responding may think that I have been hired or directed to do so. He may also think that I am trying to hit back at him. That’s inevitable. As a citizen of my dear state: Katsina. I think I have a legal right to write an article like this one. I have no other issue or agenda rather than seek for equity and fairness in our utterances within the political sphere. I was searching google for an article relating to a speech made by the US first lady, Mrs Obama, when an item caught my eyes. It reads ‘Katsina’s Rampaging First Lady’. I decided to explore the story. It was a beautiful write up by one legislator Ahmed B. Kaita. After reading the first paragraph, I was propelled to read further by an inner force. This was unlike me, because in another situation I would have swop through the context of the first paragraph, laugh over it and close the page. But something about the way he wrote it made me to understand that Mr Kaita has an issue or score to settle, so I read on. It was a frontal attack on the person of Katsina First Lady, Madam Fatima. And, it left nothing to imagination that the writer of the article was actually a mischief maker, and he felt that he had a justifiable reason after reading (as he claimed) a report in some newspaper that the first lady ordered the termination of a supervisory councillorship in Matazu Local Government over a hurdle between the Matazu first lady and a female supervisory councilor in the Local Government. When I saw the name of the writer I was a bit baffled and confused. The man I know who answers that name can never write as flawless as the content of that article. But knowing that he is a politician who aspires to be known for his adventures, and who is trying hard to be recognized as a comrade, I let my mind accept the fact that he might have hired a professional writer to front for him. There are so many things in the whole write up that tells me that Kaita is not even aware of the content that was posted on his behalf. But for copyright purpose, let us assume Kaita actually did write the article. As I read the article, something kept coming into my mind. From the beginning it was kind of blurry, but as my eyes scanned the neat print on my ipad, it became clearer to me that Mr Kaita was not even concerned with the episode at Matazu, but is bent on discrediting the first lady’s image. I kept wondering what benefits his outburst will be to him or to anybody who cares to read it. If he was referring to other first ladies, in another state, I would have just shaken my head and let go, but since he is citing examples related to our first lady Kaita needs to be brought down to earth. The main project that Hajiya Fatima Shema is concerned about and which carries most of her attention is the ‘Service to Humanity Foundation’. It might interest you to know that this project is sponsored by international bodies, humanitarian donors and other philanthropists within and outside the state, not the state government. There was never a time when Hajiya Fatima Shema ever participated in the governmental affairs of her husband. How then can you associate public funds with the Foundation? It is purely an NGO and its activities are monitored from within and outside the country. Kaita is just trying to bring more confusion into an already tense situation. He is not supposed to write lies in order to communicate his personal vendetta. Opposition is not grudge settlement business. It is to bring development to the people not creating instability among people. There is a popular hausa slogan ‘laifi tudu ne…., this clearly portrays the malicious irony contained in his write up. If Kaita believes that he is cleaner than clean as he is trying hard to force people to believe, then he shouldn’t just fold his arms and watch the ‘notorious first ladies of the country’ having a field day. He is a federal legislator and I believe there are better ways of addressing such issues at the house. Knowing fully well that his is not a just cause, he decided to waste a valuable time boring people with worthless pieces like that article he posted on SaharaReporters page. I was amassed; the writer who is a representative of people at the upper House cannot even distinguish what constitutional reservations stand for in the Nigerian context. I think Kaita need an interpreter for his nose to rise above the sea level. Let’s ask him, how many motions has he moved for the benefit of his people or for any other related benefits to the country. People like him are just sitting there for the sake of it. They form a collection of ‘I support the motion’ mediocrity in the house. Taking people like Kaita to the Assembly is like taking a dog to the library. I think Kaita should be more concerned with maintaining his chair in the 2015 polls rather than waste people’s time with gibberish like this. What has he done to deserve another chance from his people? What? The attack on governors on seat and their wives is no longer a history in Nigeria. Kaita belongs to an opposition party whose leader is noble and honest in his own way, and under whose shadow these political mediocre hide under in the guise of righteousness and fairness. We all know what and who they are. Being with Buhari will and cannot cure their kleptomania and xenophobic impulses towards the masses who are unfortunate enough to be under them. They are only good for their families or closest friends. They are in power currently, and had been in power before….. What have they got to show that proves they are better than anybody? If you asked me, I’d say they represent the worst lots of political mediocrity.